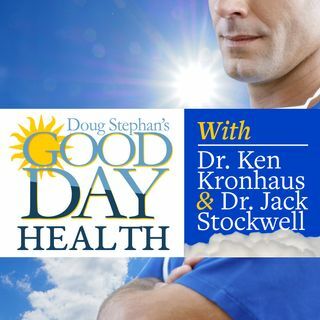 Host Doug Stephan asks Dr. Jack Stockwell www.forbiddendoctor.com to explain why having a healthy Gut is essential for Good Health. Then, a look at Vitamin K, what it does and whether we need to take it as a supplement. Do you know how to treat a stroke? Next, Dr. Jack explains all you'll ever need to know about Beta blockers. Then, there's great news for Tea lovers and their many health benefits. Plus, lots more information about maintaining your Good Health.